I was the managing editor. It was a ton of work. I loved it. I hated it. And I’m not the only one. It’s been four years since our last issue and at least once a week someone tells me how much they loved it and asks if we’ll ever do it again. My answer has always been: sorry, no. The main reason we had to halt production was financial. Even though we had thousands of loyal readers and subscribers from around the world, with so many other local publications (around 40 at that time) there was way too much competition for limited advertising dollars. 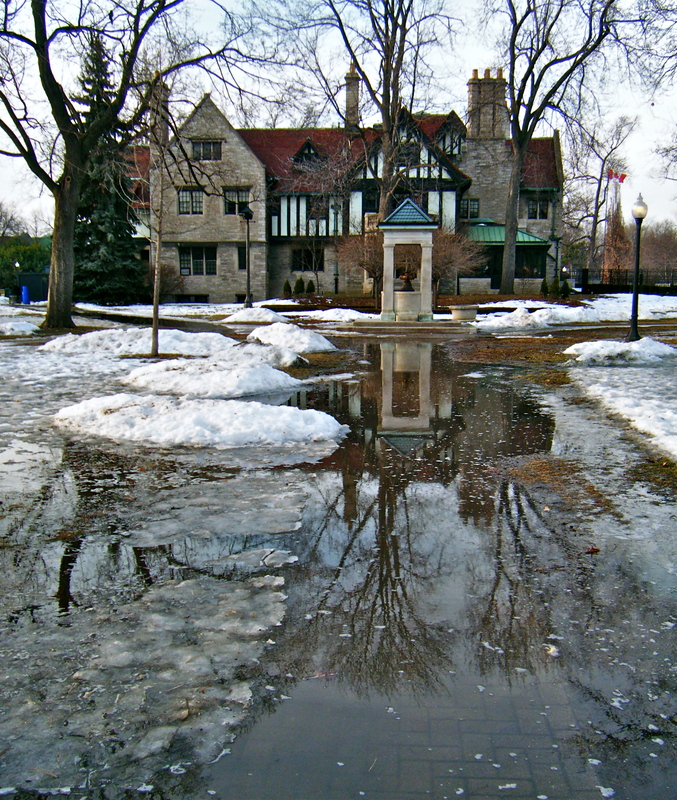 And then, while I was walking around Walkerville during a very welcome February thaw, it hit me. I would do a blog. It wouldn’t require me or anyone else to sell and design ads and work copy around them. It would be free. I’m not 100% sure what will be in this blog. We have lots of stories and photos we never got a chance to use in our print publications and we may recycle some old favorites. I imagine Windsor Then Windsor Now will constantly evolve and it will always have lots of photos, old and new. People are fascinated with old photos of their city. The new photos will document how Windsor looks today and highlight which old buildings and streetscapes have managed to escape that busy wrecking ball. It’s no secret that Windsor has a culture of tearing down the old and building new, (not necessarily better) structures. Other photos and stories will provide a glimpse into the lives of the people who lived and died here, some well known and some who will forever remain anonymous. This blog may also help connect the dots between our past and our present, perhaps shed some light on why Windsor is the way it is and maybe even provide history lessons that can help us today. So, welcome. I hope you like Windsor Then Windsor Now. Feel free to subscribe and make comments. I look forward to hearing what you have to say. Let’s see… female, married, two kids. Ok, that’s exciting. Currently living in an auto town which is going through an identity crisis thanks to the recession and other factors that I won’t go into here. Been self-employed as a writer and editor for ages. I am pretty good at coming up with marketing strategies and ad campaigns too. Loves: husband Chris, kids Jon and Rosalie, my sisters, my brothers and my extended family, good friends, photography, art, music, singing, travel, summer, gardening, good food, baking bread, dance, theatre, books, knitting, crocheting, painting, working out, small dogs, comedy, making things. Oh, and history, of course. 4 Responses to Why, Who and What ? Are you moving back to Windsor or just interested in learning more about your new city? Glad you have another site that contains stories and history of the area. Its badly needed and I love reading about this. I loved Walkerville Times, have every one of the editions and sadly miss it. Look forward to what you have to offer. I am in daily contact with Bonnie Nelson, from Gramdmas window, and have told her of this new site. We are both eager. Glad you’re enjoying it Prudie! I will be posting one or two of Bonnie’s stories in the future. Make sure you suscribe to the blog (it’s free and easy – link is near top right on every page) so that do you don’t miss any posts.